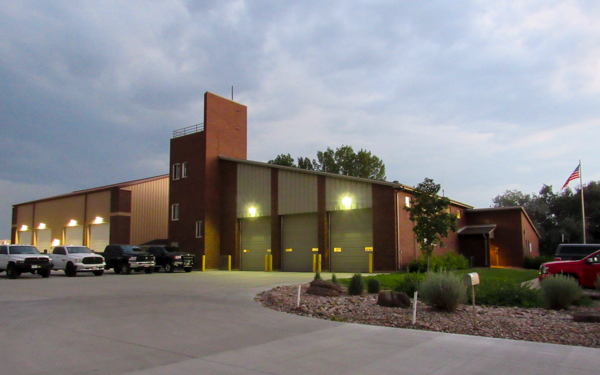 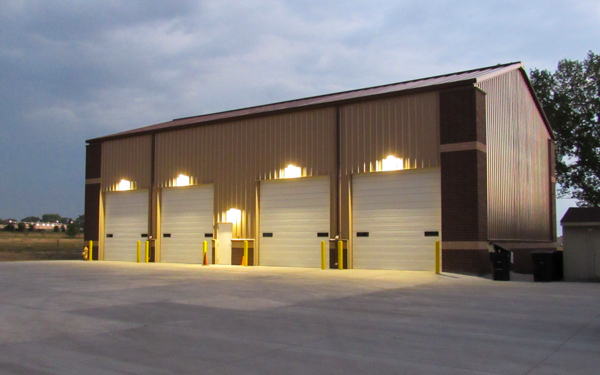 Fire Station 4 is located at 1400 E. 128th Ave, built in 1982. 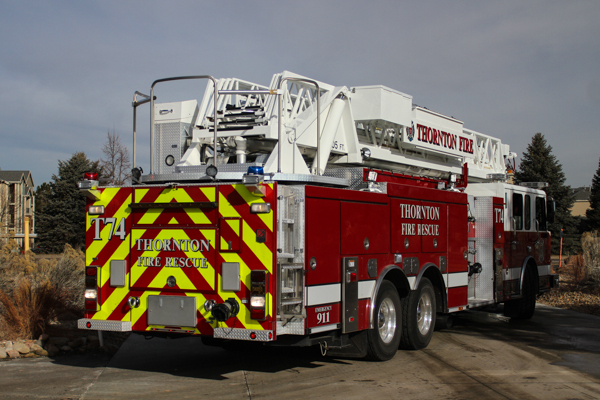 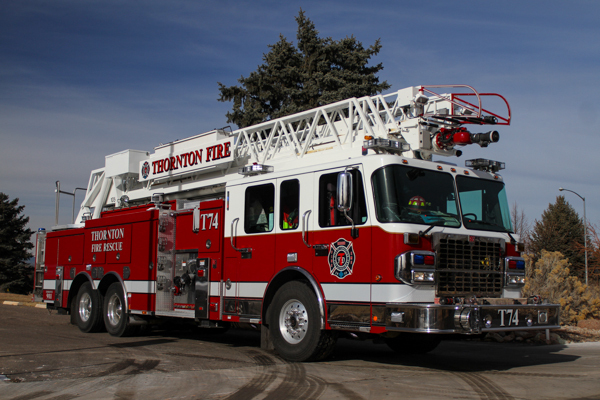 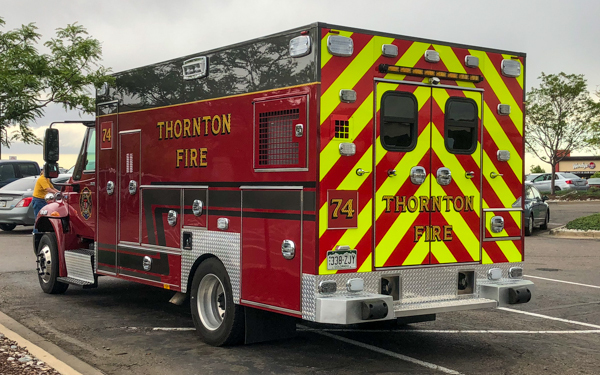 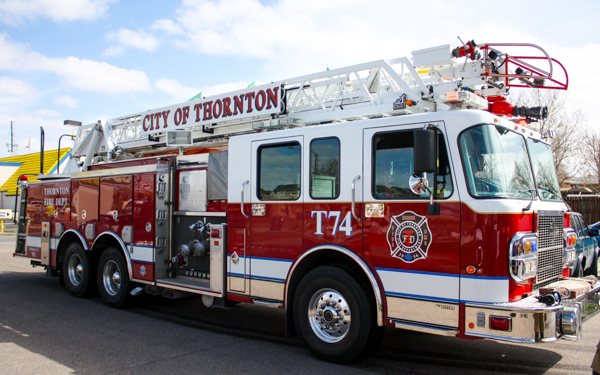 (FD738) 2015 Spartan Gladiator / Smeal (4494) 105′ Quint rear-mount aerial ladder 750 gallon water tank / 1500 gpm pump. 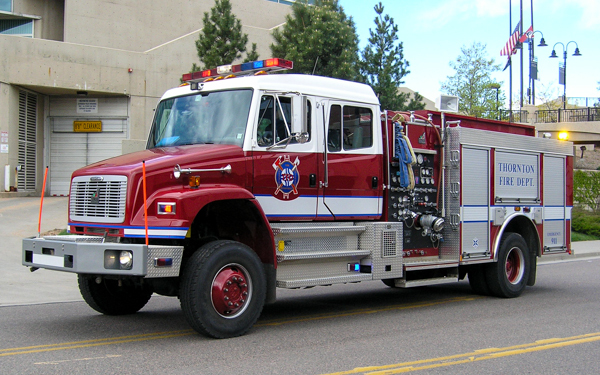 (FD7026) International WorkStar / Frazer. 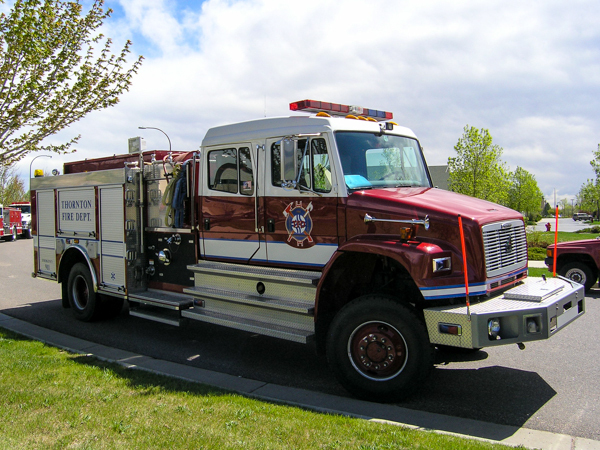 (FD733) 2009 Ford F-550 4×4 Super Duty / Custom Fab & Body-CFB 400 gallon water tank / 250 gpm pump. 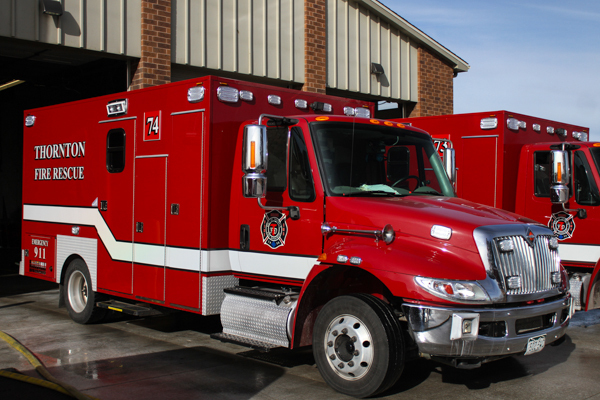 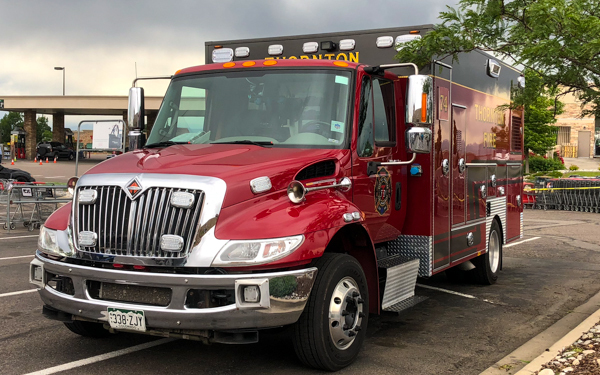 2012 International DynaStar, part of the Adams and Jefferson County Hazardous Response Authority. 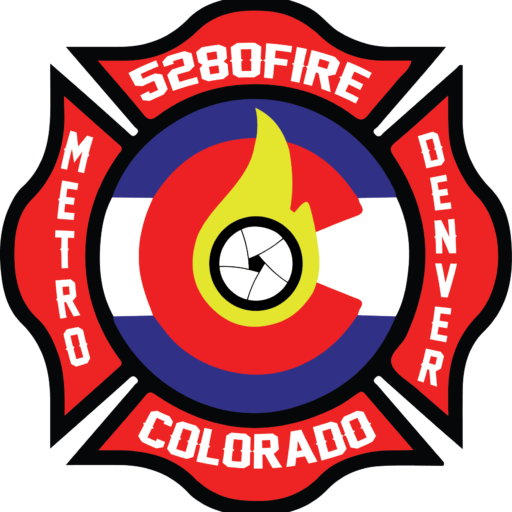 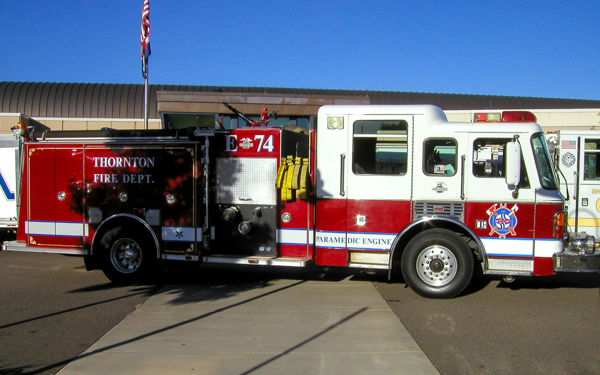 (FD706) 2002 Spartan / Smeal 750 gallon water tank / 1500 gpm pump. 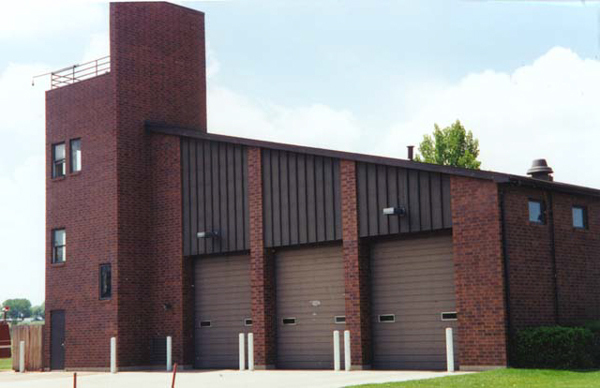 Fire Station 4 shown here at the current location on E. 128th Ave. and built in 1982. 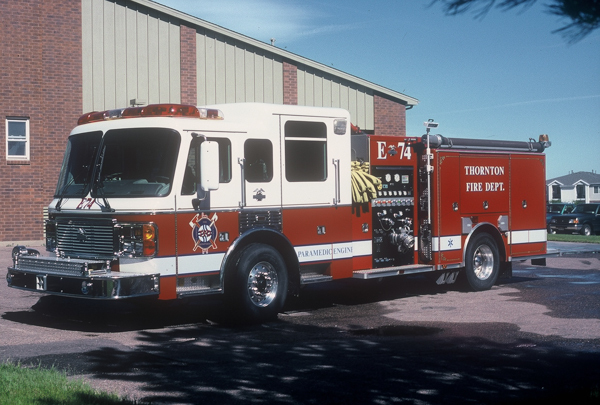 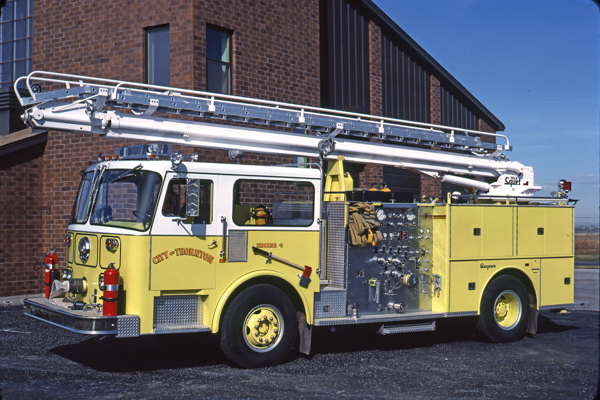 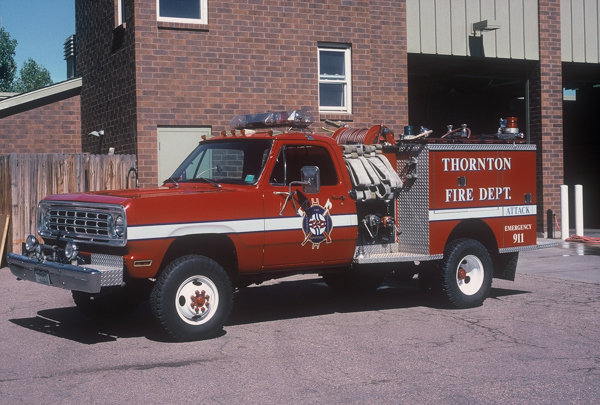 1981 Seagrave (HB-24068 / M-79237) 50′ Tele-Squrt 300 gallon water tank / 1250 gpm pump. 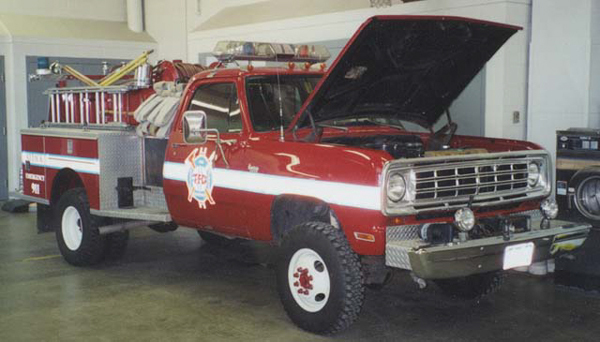 1975 Dodge / Pierce 250 gallon water tank. 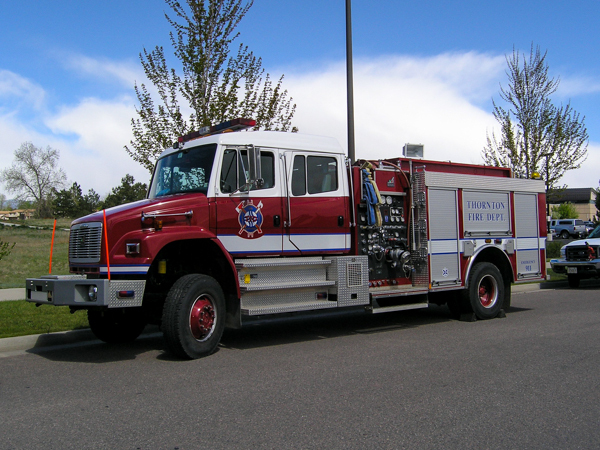 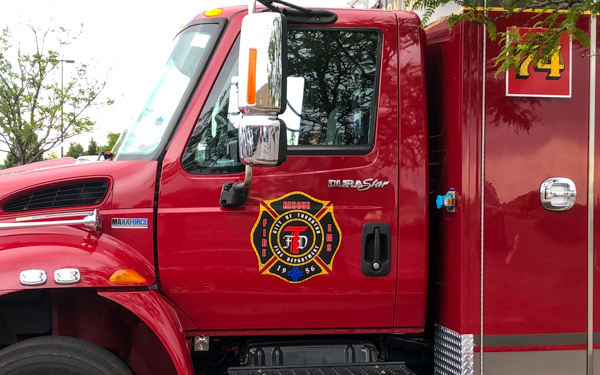 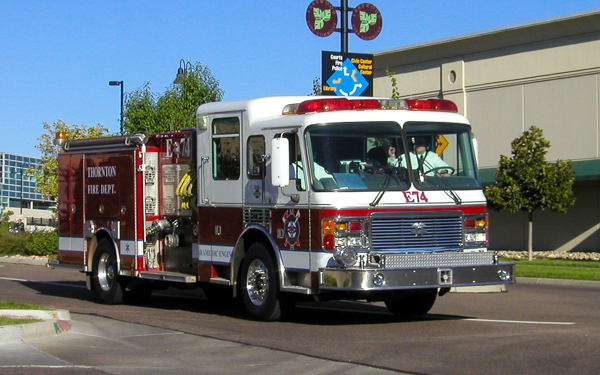 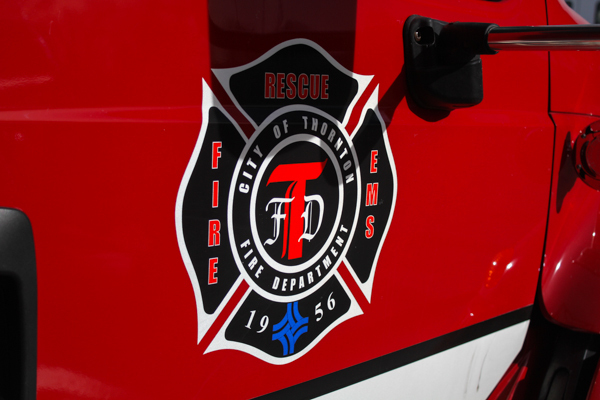 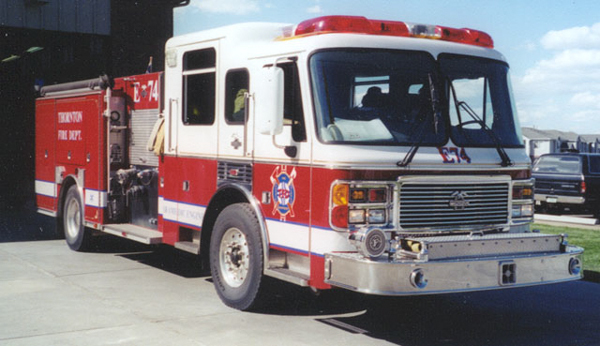 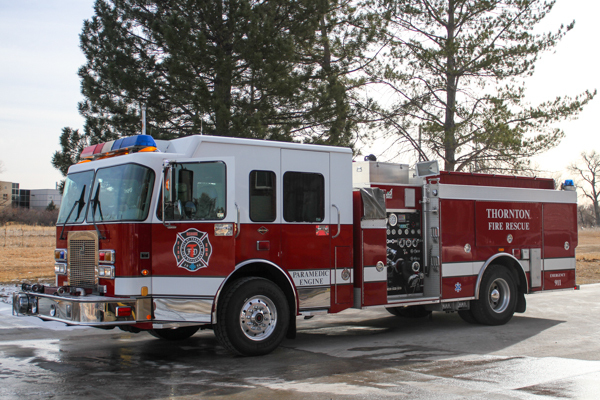 2003 Freightliner FL80 / Smeal 4×4 500 gallon water tank / 1000 gpm pump, also ran as Engine 75 and is currently Timberline Fire Protection District. 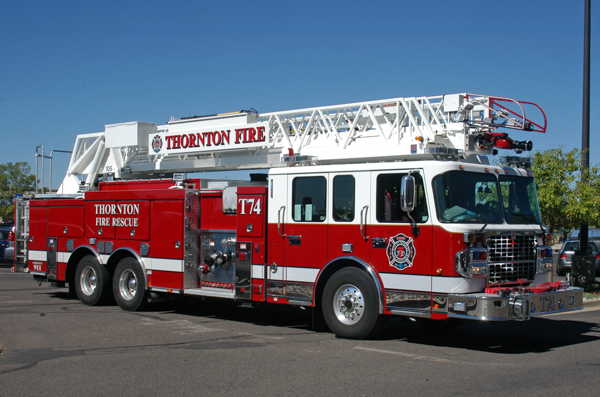 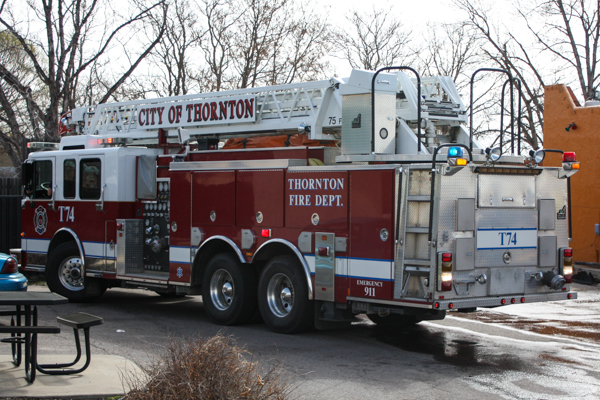 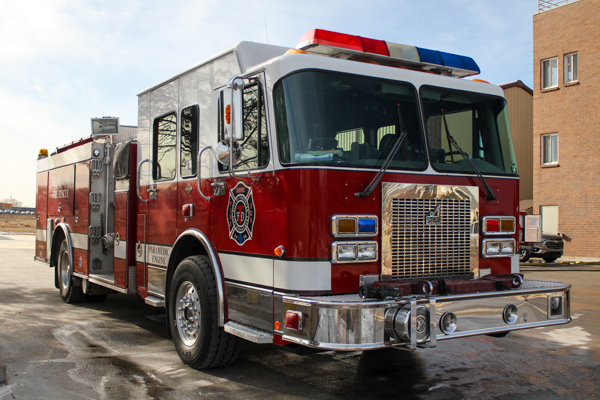 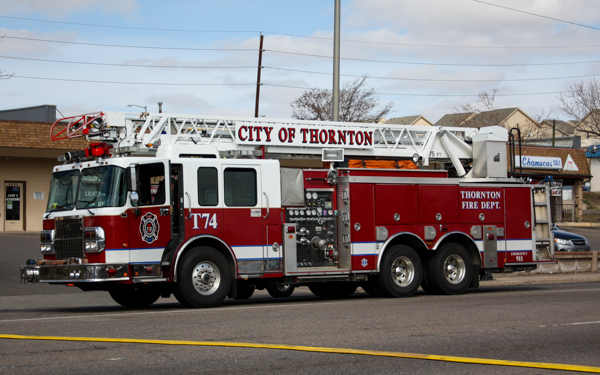 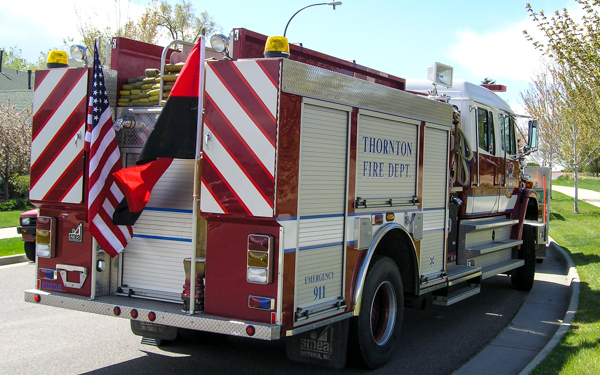 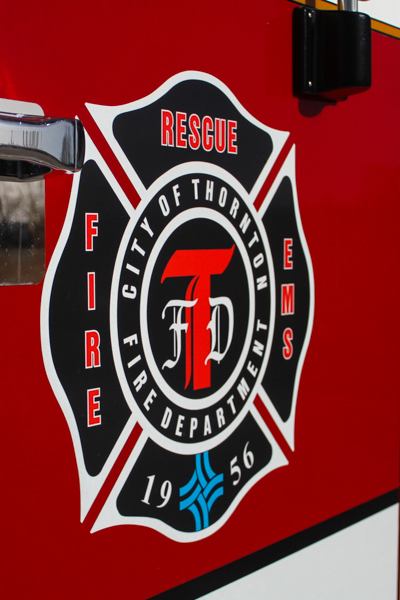 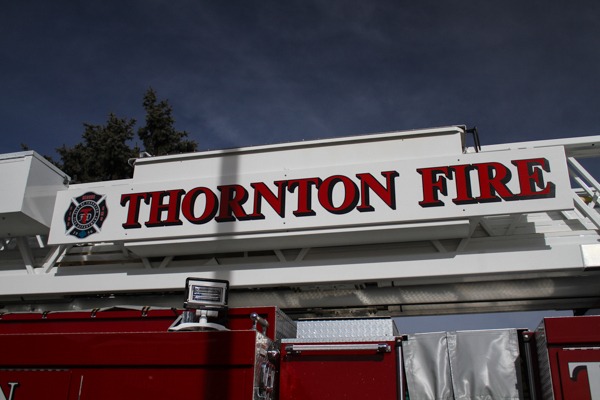 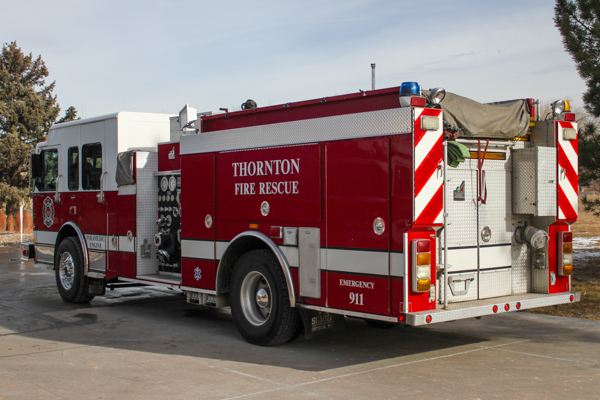 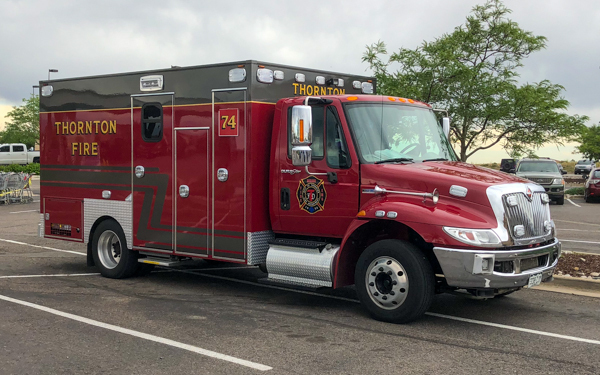 2004 Spartan Gladiator / Smeal (2919) 75’ Quint rear-mount aerial ladder 600 gallon water tank / 1500 gpm pump. 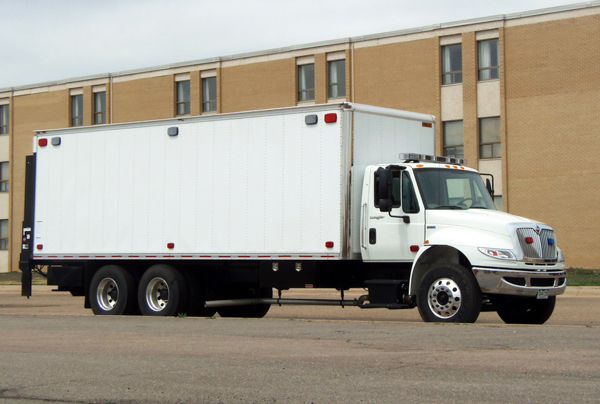 (FD7028) 2014 International 4300 / Blue Diamond / Frazer.